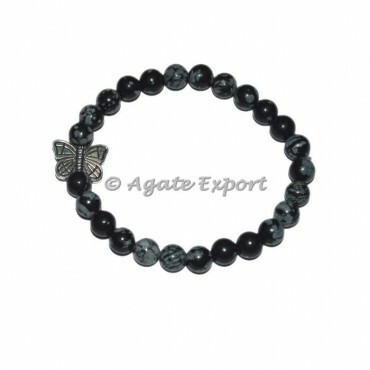 Bracelet featuring highly polished natural occuring snowflake obsidian beads. Snowflake Obsidian helps to draw emotions to the surface and to examine harmful thought patterns. For any special order or change in design contact us directly.